That’s why I’ve tweeted it to all of my 4 1/2 followers! How do I find you on Twitter? I will follow you? Ok found you…am following you? 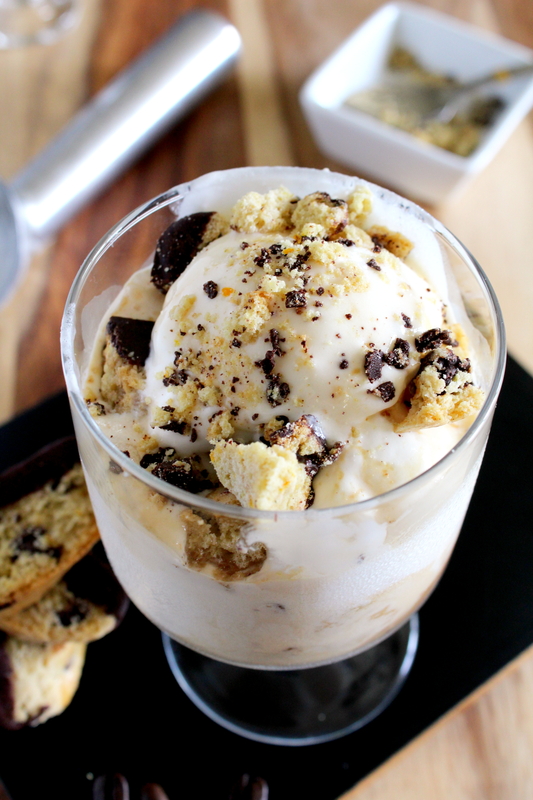 Affogato is an alltime favorite and can’t wait for your biscotti recipe they look amazing. I am curious as to which ingredients are difficult to find in your area! And thank-you I shall not keep you waiting too long…? Thanks Eugenia, always nice to hear from you! My favorite affogato is at Eatly. I go to the one in Chicago. They do a simple affogato with just ice cream and espresso, but with very special vanilla ice cream – imported from Italy, made from milk of special cows who graze on special grass… etc. etc. So Italian! and the flavor is wonderful! 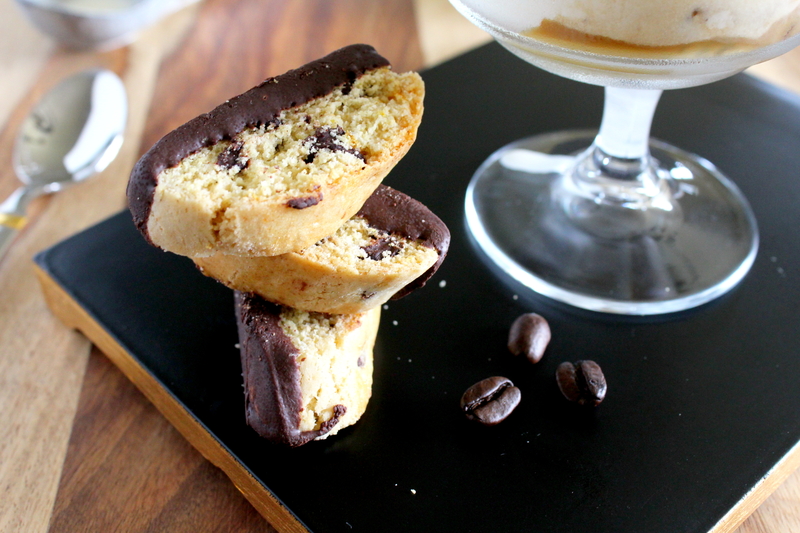 Your idea with the biscotti and café “corretto” as they say in Italy sounds delicious, too. How wonderful that you have “Eataly” nearby! I am a little bit envious right now…lol. I recently bought their cookbook cannot wait to try some of their recipes. Thanks for dropping by? If the mini restaurants they have in their establishment are any indication, you will love their recipes! Just simple Italian food, well-made, which somehow is always the best. Yes I remember your hubby making quite a delicious one!! ? Absolutely! 🙂 There are so many recipes on your blog I want to make! Gorgeous! I love your additions! 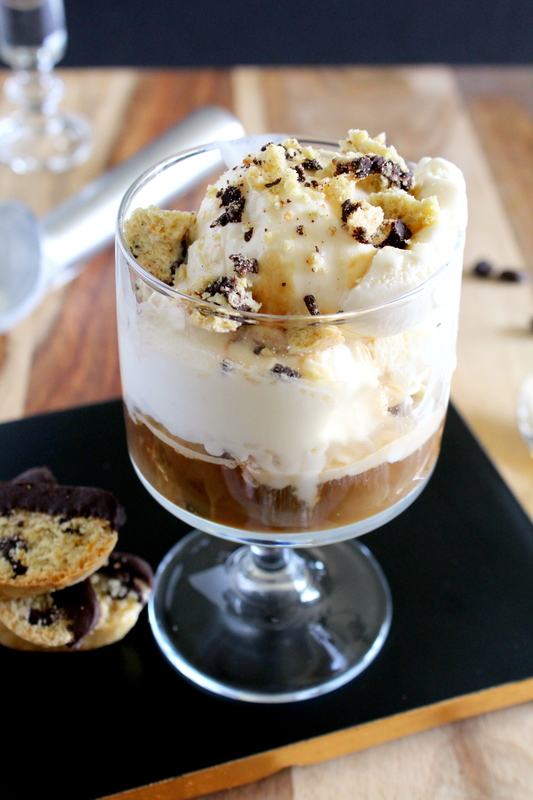 Wow Marisa, you really managed to take the Affogato to a new level with the Sambuca and biscotti. Such a wonderful dessert. It is fast becoming our new favourite!! Thanks Ronit? A terrific spin on a classic, a bit more elegant. I love your suggestion of preparing the ice cream beforehand. I’ve heard of affogato but have never it. Your version sounds like a must try…perfect for this summer. This looks incredible!! I’m so trying this Marisa! Yum! Recently my friend did tell me about Affogato, but she said nothing of the Sambuca! Lol, thanks Marisa! Oh my this looks so perfect for this hot June day! I have had affogato on my mental list of things to experiment with but you have done it for me. Very yummy and beautiful Marisa. Thank-you so much Teresa, it is really quite delicious and so simple to make ? Oh my I just wish I could have a couple bites of that delicious dish of Affogato! I am a coffee lover and I think it’s because my grandmother let us dunk our cookies into it. Same here Julie! Growing up, I would always try to dip my cookies in my mother’s coffee when she was not looking!